The 25th Annual Eagan Art Festival: Saturday, June 29th, 9 a.m. – 5 p.m. and Sunday, June 30th, 10 a.m. – 5 p.m., 2019 on the festival grounds of the Eagan Community Center in Central Park. See the (Link) map for further directions. Attendance: We project that attendance will be 13,000 plus patrons this year. (2018 Actual) The festival accepts 9 – 12 food vendors and up to 100 artists annually. We expect the 2019 Eagan Art Festival to continue to be one of the most well attended events in the area! Apply: Applications are now available as a PDF . 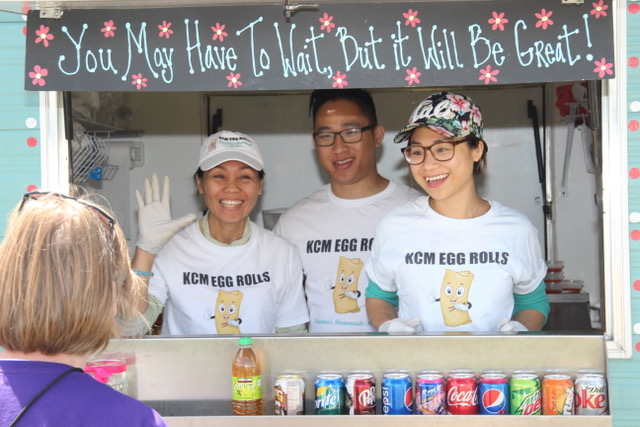 The postmark deadline for (Link) food vendor applications is March 15, 2019. Be sure to read the (Link) Food Vendor Requirements, then fill out an application form and Minnesota State (Link) ST19 form. A food vendor booth layout is included in the vendor application. Please mail all three documents when applying, along with the application fee or a deposit and a copy of your food vendor license. Payment: Please send a $100 deposit with the application materials to secure a vendor spot in the festival. Upon acceptance, the $100 will become a part of the vendor fee with the full balance due on or before May 16, 2019. Vendors who are not accepted will be reimbursed the $100 deposit. Participants outside of the metro can find Eagan lodging and dining information online at (Link) www.eaganmn.com.